The study provides the answer to these questions and shows that text donations remain an overwhelmingly positive experience for donors. Supporters are increasingly finding out about text donation campaigns through social media. In addition, donors want to get more information about you through text messaging. Social media clearly is playing a larger role in how donors find out about your text donation campaigns. Promote your text giving through Facebook and Twitter. People love to share videos via social media, so use YouTube videos to promote text donations as well. Don’t forget to encourage your donors to tell their friends about your campaign using their own social media networks. Survey says: Social Media and Texting Work Together! Text donations are popular and increasingly important not just for donations, but for multiple types of information sharing. The increase in desire to receive information about volunteering, surveys and program information presents an opportunity for nonprofits to increase donor engagement through mobile communication. Survey says: Say it By Text! The survey also found that an overwhelming 85 percent are inclined to continue donating at larger amounts to a nonprofit via traditional methods after donating by text, clearing up a misconception that text donations can undermine other methods of giving. Donors also strongly favored, by 65 percent, the option to donate $25 via text. Currently, text donors are limited to gifts of $5 and $10. 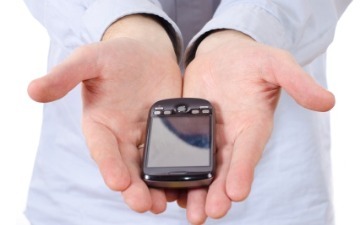 Survey Says: Text Donors Will Give More! The annual survey was conducted online with 993,672 people who completed a text donation through mGive. A total of 20,445 responses were received, a 2 percent response rate. .
What do these findings mean for your mobile communication plan? Talk it over with us at 765-716-2012.